May is clematis month in the Portland/Vancouver area in the Pacific Northwest. Coming up we have Silver Star Vinery clematis being sold at two outdoor sales in Vancouver, a clematis celebration at Joy Creek Nursery (just 30 minutes from Portland), and the annual Clematis Garden Tour in Portland in support of the Friends of the Rogerson Clematis Collection in Lake Oswego. Immerse yourself in clematis by attending one (or all three!) of these events if you live or are traveling close enough. Silver Star Vinery, a terrific mail-order source for clematis right here in Washington, rarely sells direct to the public. But this weekend, proprietor Debbie Fischer will have booths laden with clematis for sale at TWO plant sales in the Vancouver area. Since she can’t be a two places at once, I get to go down to help. Lucky me. 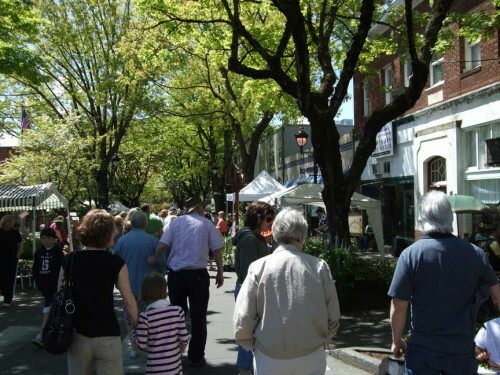 Camas Patio, Plant, and Garden Fair: This fair will be held in Downtown Camas, just east of Vancouver, on Saturday, May 10, from 9am – 4pm. Come on down! Click here for more details about the Camas Fair. Clark County Master Gardener Plant Sale: Debbie will be selling tons of clematis on both Saturday, May 10, from 9am – 4pm, and on Sunday, May 11, from 10am – 3pm. This sale is held at the 78th Street Heritage Farm, 1919 NE 78th St in Vancouver. She’d love to see you! 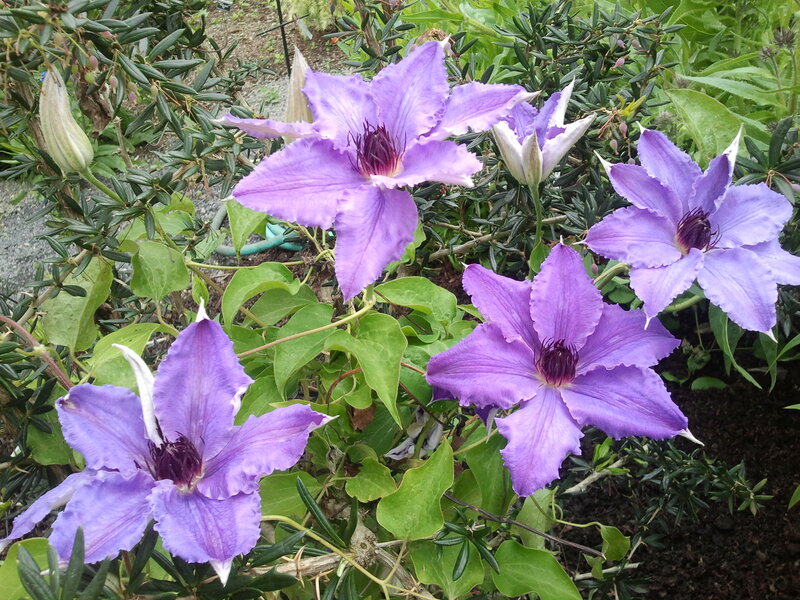 Not only can you buy beautiful clematis, you can also get great information about clematis. 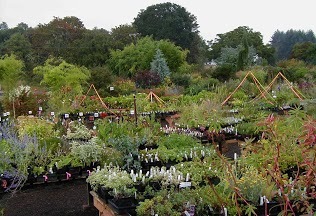 Click here for details about the Master Gardener Sale. Joy Creek Nursery in Scapoose, Oregon, on the Columbia River between Portland and Raineer, will join with the Friends of the Rogerson Clematis Collection (FRCC) to celebrate clematis. Attendees have the opportunity to see cut flowers from many varieties of clematis. Knowledgable volunteers will be available to answer questions, and clematis will be offered for purchase. At 1pm, Linda Beutler, curator of the FRCC and reigning president of the prestigious International Clematis Society, will team with Maurice Horn of Joy Creek Nursery to introduce great clematis, new and old. Click here and scroll down to May 18 for more details. I always attend this garden tour, but I can’t make it this year. Boo hoo. But if you go, you won’t regret it! 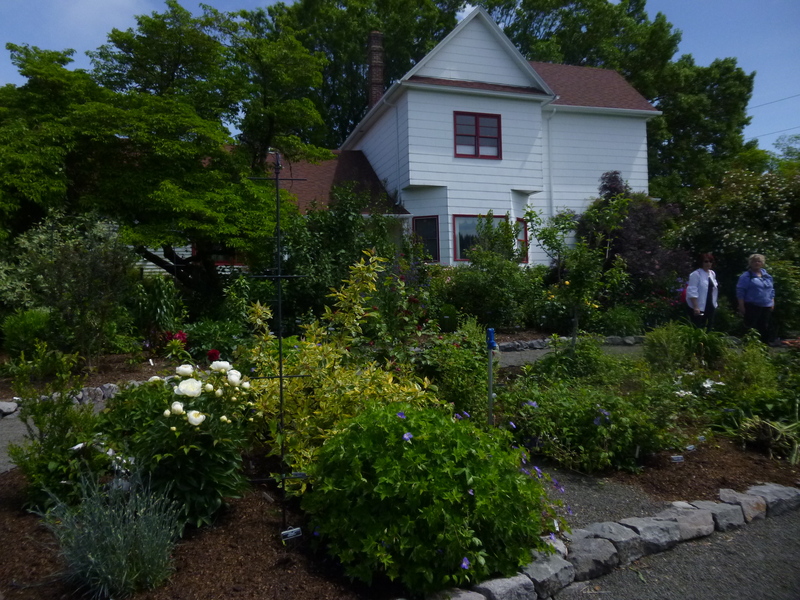 There are five gardens on the tour in North and Northeast Portland, plus Luscher Farm in Lake Oswego, where all 1,700 FRCC clematis reside. Unusual clematis will available for purchase at both Luscher Farm and one of the other gardens. 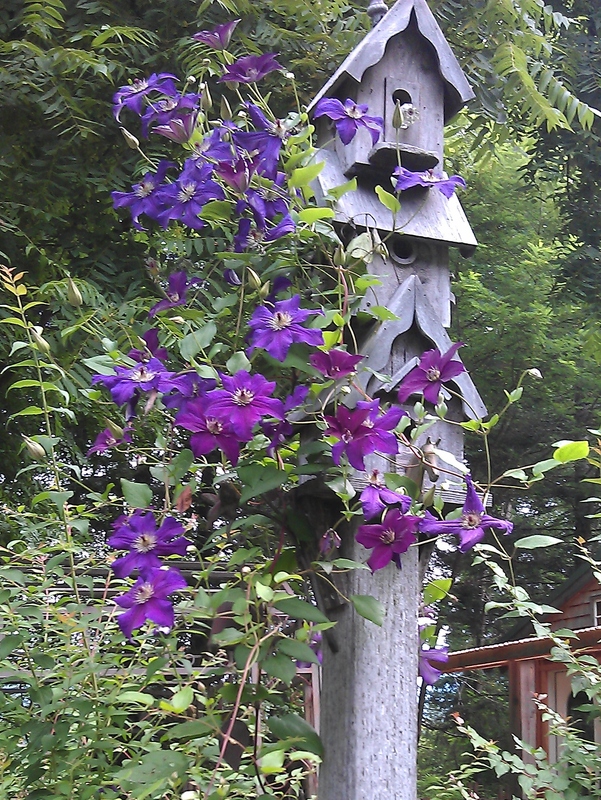 Attendees will see how other gardeners incorporate clematis into their gardens. All proceeds go to support the FRCC. Click here for more details and to purchase tickets. Debbie of Silver Star Vinery opened her display gardens and sales to the public last July — the event was so successful and so well attended that she’s opening again this year. If you are in striking distance of Yacolt, Washington, in the foothills of the Cascades north of Vancouver (one hour from Portland, Oregon) — do NOT miss this event. Debbie has a huge display garden in the middle of a forest with hundreds of the clematis growing and blooming on all kinds of structures. Mark your calenders for Saturday and Sunday, July 12 and 13, 10am – 4pm each day.